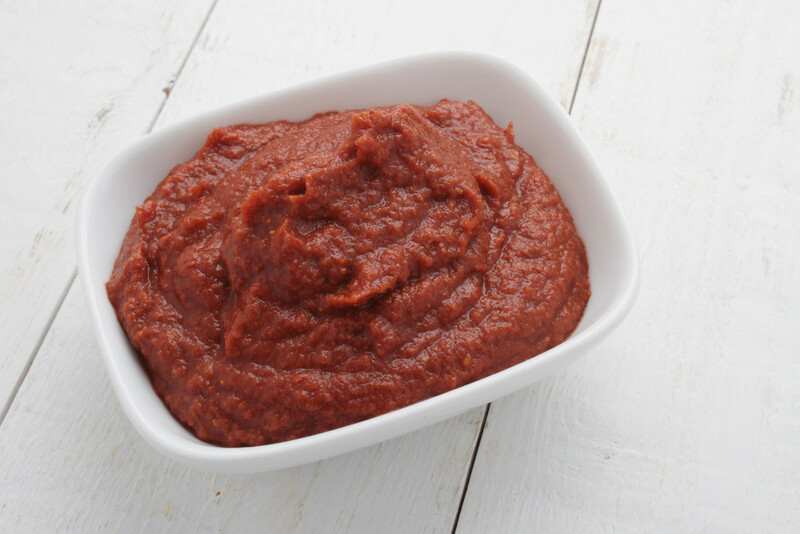 I have more than just a tomato paste recipe, check out more delicious homemade recipes at the end of the page. No more "buying" when you have this homemade recipe - because after you taste the robust flavor, you'll be hooked. My recipe produces a high quality product that makes good dishes outstanding. Bursting with fresh tomato flavor; makes wonderful authentic Italian dishes. Plum tomatoes are the best for this old-fashioned recipe; less juice. If you do not have a food dehydrator, this process takes 10-18 hours in the oven. Place tomatoes in a heavy kettle or stock pot and crush to bring out the juice. Cook until very soft; approximately 1 hour, and then puree in the blender. Return to the stove and cook over very low heat; stirring often. Simmer until it is reduced in half; approximately 2-4 hours. Ready to use. PREHEAT oven to 145 degrees and spray a cookie sheet with vegetable oil. Spread the paste out on baking sheets and if you have a dehydrator, use that. Otherwise dry in the oven for 2 hours with the door ajar. Turn the temperature down to 120 degrees and dry another 2 hours. Now increase to 140 degrees. Dry the tomatoes for another 6 hours (it may take from 10 hours to 18 hours). Roll dried paste into 1 inch balls and let dry at room temperature for another day. Store in airtight jars. NOTE: You may add herbs such as basil, oregano, garlic and parsley if you wish. You can also dry the paste in the direct sun for 2 days. Cover with cheesecloth to keep bugs away.